As a company promoting a service, rather than an item or a new launch, your approach to email marketing will be different than a traditional big box store or a boutique. Instead of flash sales, coupons, or free delivery on a Friday night, you need to promote the value of your service. Since nurturing a potential lead through the sales process can take months, it is imperative that you keep them informed, engaged and interested in your business and your value. 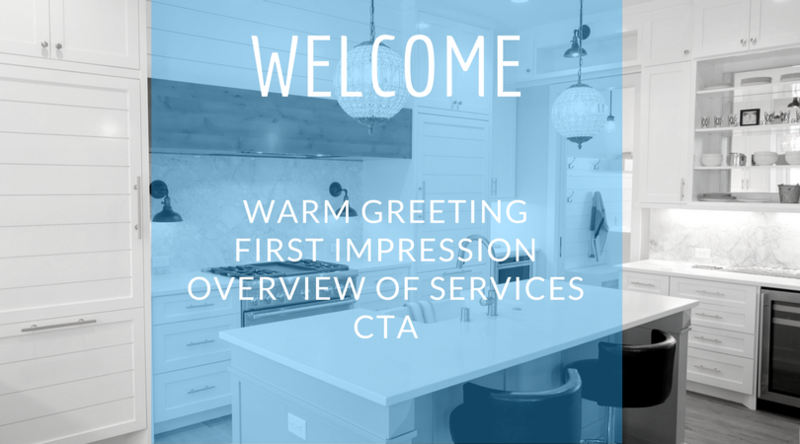 The welcome email does exactly what you think it does - it welcomes potential customers to your business. Aside from your established online presence, the welcome email sets the tone for the relationship with your new potential customer. Depending on the culture of your business, the welcome email can vary in tone - from welcoming and warm to formal and straightforward. Ultimately, it is up to you how you want your email to sound. In addition to setting the tone for your relationship, the welcome email introduces the concept of nurturing emails, a critical strategy when it comes to turning visitors into leads, and leads into customers. Ideally, the welcome email will arrive no later than 48 hours after your new lead has filled out a form on your website. To ensure a timely follow-up, consider automating your emails. This ensures that when a lead visits your website and fills out a form, they will automatically receive an email, taking the guesswork out of the equation, and ensuring every lead has been captured in your database. When it comes to email marketing, a newsletter is a must have when it comes to keeping your audience informed about your business and industry-related news. 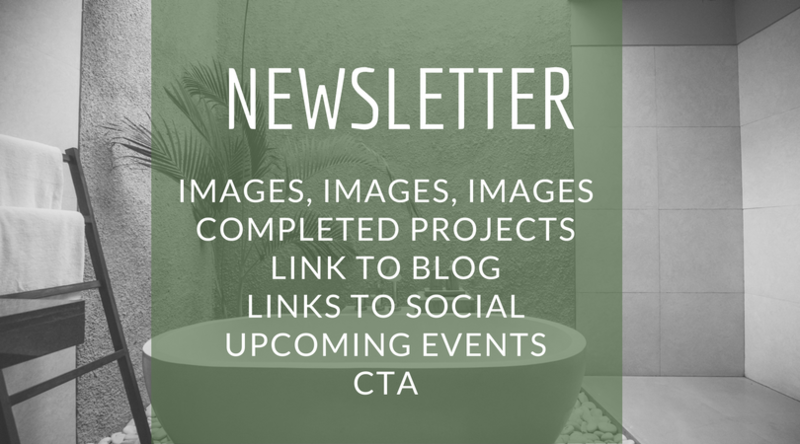 Newsletters allow you to keep your content fresh, and highlight a variety of topics. While newsletter emails should be consistent with their formatting and structure, the copy included can always change. You can highlight events, special promotions, announce new team members, or announce changes in your product or service. Newsletters help drive traffic to your website, keep customers informed, and most importantly, keep potential customers in the funnel. While newsletters can be sent any day of the month, the key is to keep things consistent. We typically send out newsletters during the second week of the month, on Tuesday or Wednesday, as studies conducted by companies like Mailchimp and Wordstream conclude this is the best chance of a high open rate. 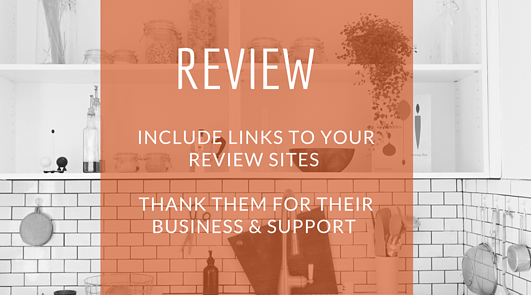 Reviews are critical for any business regardless of industry but are extremely important for those with service-based business. Since the turn of the millennium, customers are almost exclusively using the internet to conduct research on potential contractors and design-build remodelers. To do this, they are looking at review sites. As I’m sure all design-build companies are aware, sites like Google, Houzz, Facebook, Yelp, and GuildGuality all showcase prior customers reviews - both good and bad. To keep the reputation of your company intact, don’t be afraid to ask your latest clients for a review after the project is over. Review emails should be sent two to three weeks from the date your project completed. This ensures that the dust has settled (no pun intended!) and distance has been created for both parties before asking for an objective, favorable review. "Hi CUSTOMER, we're looking to help more homeowners like yourself create amazing home transformations. Is there anyone in your network that you'd be willing to connect me with? 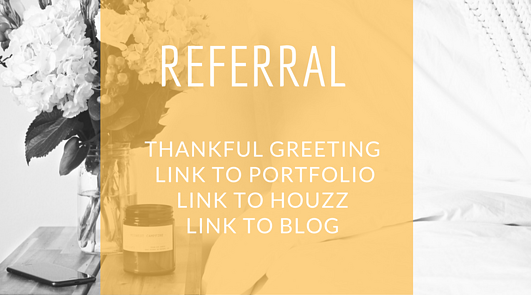 Referral emails can be sent at any time, however, you do want to ensure that you are not bombarding your past clients with favors or requests.